Comoy Pipe | Chicago's Pipe, Cigar & Tobacco Store | Iwan Ries & Co. The Comoy pipe is historically significant. François Comoy in Saint Claude, France originally founded the company in the early 1820's, as a manufacturer of clay pipes. In 1848, either François or his son, Louis, made the first Bruyére pipe from the root burl of the indigenous White Heath, Erica arborea, known today as briar. 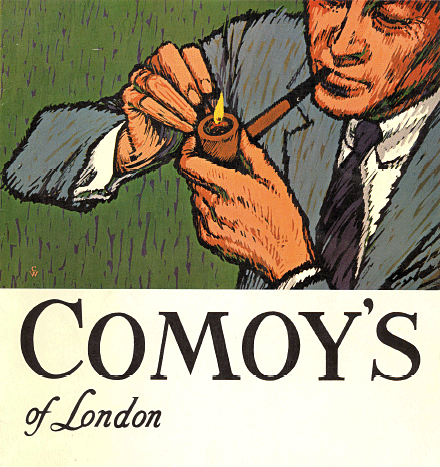 Henri Comoy, son of Louis, established Comoy's of London in 1879. Recently production was moved again and the are now made back in France.